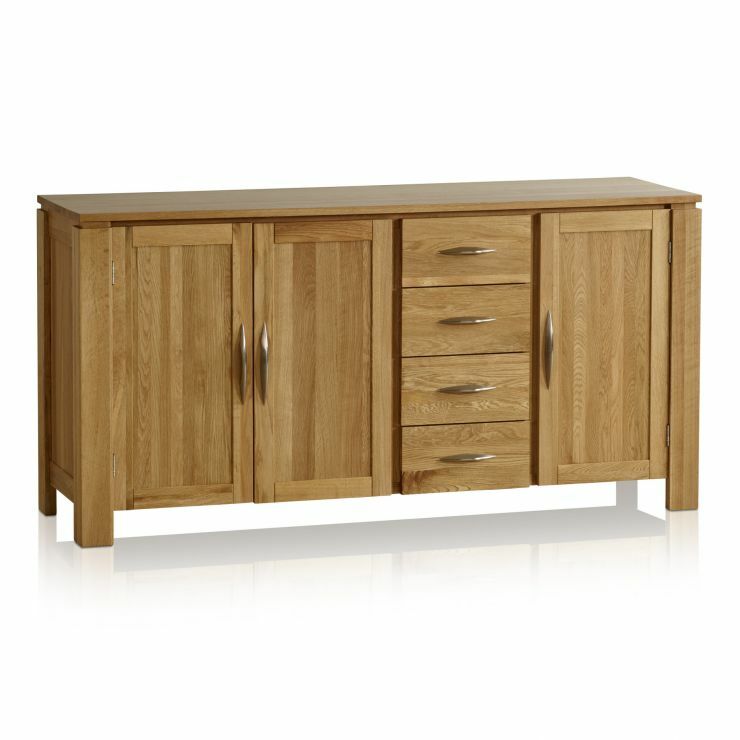 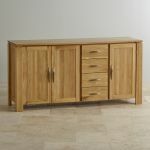 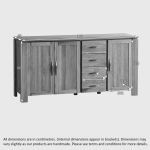 The Galway Natural Solid Oak Large Sideboard is a comprehensive storage solution with four drawers and two separate cupboard spaces. 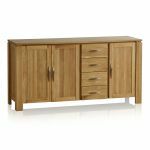 Made from beautiful solid oak, it displays an enviable array of features; these include inlaid panels, curved brushed metal handles and an exquisitely raised tabletop. 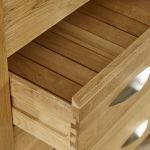 Each drawer is meticulously made using traditional dovetail joints, which are renowned for their strength and longevity. 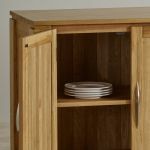 Both cupboards offer split level storage due to a height-adjustable shelf which can be easily moved to accommodate taller or awkward shaped objects. 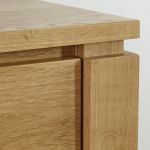 So, if you're looking for somewhere to store your linen, cutlery and crockery and want a gorgeous piece of solid oak furniture to boot - you need look no further! 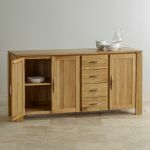 Don't forget, delivery is free.